It seems almost inevitable that the RDA will return in the future movies. If not the RDA, then some other kind of force. Regardless of how humanity returns, they will come better prepared and better armed if the future of Earth is at stake. A single group of several hundred secops marines and base personnel pressed into combat as a militia easily defeated thousands of Navi warriors while taking only modest casualties. If it was not for Eywa's personnel intervention, the RDA would have won. Imagine what a fully armed force could do. But this presents a nagging question: how can the Navi repel a second invasion? Humanity's reliance on technology has allowed it to combat external threats to great success; however, it has done little to help us internally. If anything, I get the impression that the invaders will be brought down from within rather than from direct combat (though there will be plenty of that). I feel that we will see Selfridge again and he may have a bigger role to play, possibly betraying the RDA after much soul searching, but I still have my doubts on this. Other members have also mentioned other things such as a second intervention by Eywa or the Navi adopting some technology; however, I do not think that these alone will be enough. Will the Navi even emerge victorious? Last edited by Banefull; 02-04-2011 at 05:57 AM. Well, if humans return to Pandora in Movie #2, they're not leaving until the end of Movie #3. That's my prediction. The trilogy couldn't sustain three separate human/Na'vi wars. That would be pretty silly. So, basically, I think we're in for an Empire Strikes Back kind of sequel for Movie #2. Which is fine with me. I like Empire. As for how the humans are eventually eliminated, I have no idea except to suggest that a number--perhaps most--of our favorite characters are lost in the process. This might sound like a horrible thing, but I think it could be brilliant if done properly. E.g., at the end of the third movie, I can imagine a situation where there are no humans or avatars at all on Pandora. Pandora restored. Worth dying for? Probably. Alternatively, I can also see a third movie where the battle is won diplomatically, or else because some other force from Earth intervenes and defeats the "bad" human corporation, and then we see peaceful relations established between Pandora and Earth. I don't know. I'm excited though! It's guaranteed the Na'vi will win. Somehow. Some secret weapon, or another zerg rush. Well, Landau stated that the second film will be like the first one, in that it won't have an ending that will lead up to a sequel. Each movie, he said, would be self-sustaining. So that rules out an "Empire Strikes Back"-type film. If Pandora were "restored" in the sense that everyone dies except the Na'vi, that'd be sort of an anti-climactic finish... sort of the way the third Matrix film ended (though, that's one of the very few anti-climactic movies that I liked). Cameron isn't an anti-climax writer. If the RDA strikes back, it'll be hard and fast. That's what she said. The only way I see the Na'vi defeating the RDA is if they combine the use of human technology with all of the clans spread across the moon, along with Eywa's help. It would become a world war. The way I see it, there will be situations where the humans will land in uncharted areas that Jake won't know about. We cannot forget that the humans landed in one place. About 90% of the other Na'vi clans on Pandora had absolutely no idea that we were ever here. The best strategy would be that they land in multiple areas all over the moon, set up bases, and stake out their territory with heavy defense lines, and extreme firepower. All bases would naturally be located away from any "Soul Trees" (areas where flux vortexes are present), so all weaponry would work correctly. If any Na'vi forces tried to attack, they'd be well-protected. If enough were to come to overwhelm a base, they have communications that will alert other nearby bases to come to their aid. The process of fully defeating the humans will be long and arduous. But it can be done if the Na'vi possess the same technology as the humans, and if Eywa stays prominently involved in the resistance. Last edited by Woodsprite; 02-04-2011 at 06:34 AM. I agree with Woodsprite mostly. Unless the RDA makes an epic strategic or tactical failure, the only way to repel SecOps would be to adopt technology. Not even Eywa can fight effectively against sentry guns and missiles. As for the humans allowed to stay on Pandora, there are almost no military personnel among them, so I doubt they can resist the power of the RDA. If the stereo-lithography machines are undamaged, the Na'vi, probably high-level Omaticaya warriors, would be able to arm themselves with up-to-date human weaponry. I really don't see how they will be able to defeat the RDA in any other ways without suffering unimaginable casualties. It's not pretty, but it's completely necessary. That is, unless JC has some super cheesy deus ex machina, which I really HATE. Last edited by Raptor; 02-04-2011 at 07:32 AM. Well, what most people forget is that the ISVs that will be coming into to Pandora have ALREADY been on the way. They will only contain 10-20 marines at most to replace ones that are leaving, and very few weapons, plus no vehicles. The rest is just scientists, mining crew and general employees such as mechanics etc. There are no weapons, the only things that are brought over due to lack of space are electronics that can not be manufactured on Pandora. There will likely not be any more ISVs launched at all when the truth about that the RDA did reaches Earth (and until then, any that are launched would be standard resupply ones). The Na'vi don't need technology (and doing so would completely go against t he entire point of the films) - remember Hell's Gate is still there, is the only safe place to land, is inhabited by the scientists, and has a LOT of anti-air defences. If any RDA do arrive (impossible as mentioned above), the Na'vi will get rid of them sttraight away. Even all animal and plant life will be highly hostile to them - a group of 'angtsik can easily destroy anything they land. Woodsprite, none of the clans did not know of the humans, to say otherwise is an insult to the Na'vi's intelligence - they are, if anything, more intelligent than humans. The humans landed in one small area of Pandora, and they've only occupied the area for about 25 years. Jake and the Omaticaya traveled a few hundred miles at most to notify other clans to come to their aid. 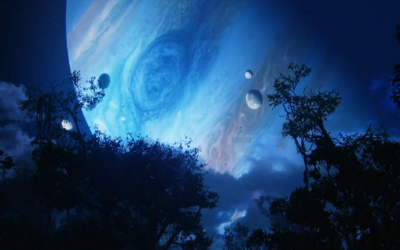 Then there's the rest of the entire moon to think about, where humans never traveled, and where the Na'vi were never notified by Jake and the Omaticaya about their predicament. The other distant clans are unaware that the humans ever landed. How would they know? The RDA, at one point in time, had to have set up Hell's Gate on Pandora. They did this with precision and patience, and at that time, the Na'vi were probably more curious than hostile. If the RDA were to start from square one again, landing on a different area of the moon, far away from Hell's Gate, and repeated the same task (only doing it multiple times instead of one) among other clans who had no idea what happened with the Omaticaya, they could very well take over the moon... That is, if Eywa doesn't recognize who they are in these other areas. Chances are, it will, which will make the process much more difficult... but still possible. Eywa acted when there was an emergency at the last minute, which could imply that she's a benign force up to the point of extreme measures. As far as whether or not the Na'vi need technology, I agree. As their lifestyle dictates, they don't need tech. But if threatened by a massive force of trained soldiers with full firepower (considering how their small strike force of about 50 samsons and a dragon gunship defeated 2000 Na'vi warriors), the Na'vi cannot withstand them without combining human weapons tech with every able fighter, along with Eywa. That's the only possible way they could defeat the humans if threatened by such an immense force... as far as I see it, at least, not to say my opinion is the be-all, end-all, word and the way. And don't forget, as far as we know, the main commanders in the battle were using coms. That was human technology. Last edited by Woodsprite; 02-04-2011 at 11:10 AM. No, they knew exactly what humans were doing. You're forgetting the neural network. Just because Jake couldn't get them to come in time doesn't mean they didn't know. Nowhere does it say that anyone was unaware. The game may not be canon in storyline, but you go all over Pandora there and all the Na'vi know about the humans, which makes FAR more sense. For your second point - there are no clans who don't know about the humans. Even if somehow there were (which makes no sense) then they will certainly know after the RDA got kicked off Pandora. For the one about weapons - well, using human ones, I guess so, but they have neither the base nor the need to develop anything new. There's no indication anywhere that simply plugging into any Eywa-related system will automatically let you know of all secrets of the moon. Just because a game says the Na'vi know about it, doesn't mean it makes any sense. At least, it doesn't to me. I don't see how they could possibly know what was going on. The point is the sharing of memories. The Na'vi clans have contact between each other anyway - word spreads even if you ignore that. Of course, if I was there, I would make absolutely sure that all the clans knew and that in any future encounter with humans, then the Omatikaya could depend on them. After all, there were ~2000 Na'vi from the clans near the Omatikaya who could be reached in a few days - from all the clans on Pandora, that could be anywhere from 100,000 to 200,000. I'm sure Jake and Neytiri will do the same. Anyone know if the ISVs would be visible from orbit? I'm wondering if other clans that weren't part of the battle are at least aware of some strange presence up in the Pandoran night sky. HNM, I was also thinking about how there's already other ISVs on the way with too few soldiers to mount a real invasion of Pandora. What I was wondering (and you may have to pardon me for not having as good a background knowledge) is if a whole new kind of transport would be sent from Earth with the explicit purpose of taking back control of [some area of] Pandora by force, carrying enough mercenaries and weapons to get the job done. Of course, such an event would be far in the future, but if the RDA wants to get unobtanium that badly, I'd think they would try and find a way to do that while simultaneously working against all the allegations of human rights abuses (erm...Na'vi rights abuses) on Earth. I don't think they'd give up without trying to get at Pandora again, and they'd probably prepare themselves for fighting the anti-air defenses that they left behind. The international space station is visible from Earth (you just have to know where to look). It looks like a small dot unless you have a weak telescope. The best time to see it is at dawn or at dusk. I would imagine that an ISV would technically be visible, just very hard to spot and distinguish from other celestial bodies. I highly doubt anyone would be aware of its presence unless someone happened to be looking in the right direction, at the right time, while paying close attention. edit: Now that I think about it, on Pandora, Polyphemus is visible in the night sky. If the ISV was in orbit between an observer and Polyphemus, it might be very visible at dawn or dusk against the backdrop of a gas giant. Last edited by Banefull; 02-04-2011 at 07:40 PM. Question is, though, how big will it look? We can see Polyphemus in the night sky and the daytime. If Pandora revolves around Polyphemus like earth revolves around our sun, we should assume that Polyphemus is about the size of Jupiter, or somewhere around there. Thing is, it's still far-enough away from Pandora that you can actually see its curve, considering how giant it is. If you're able to see the curve of a planet the size of Jupiter, I don't think it'll be too easy to see something many times smaller like an ISV, as large as those things are. Not to put a bunp in the road, the title reminded me of empier strickes back and that avatar 2 spoof...lol, sorry guy's, cont. In the game, Harper was the mole and sharing the secrets of the RDA to the Na'va so that's why they knew what the RDA were doing. The RDA wanted Harper taken out to keep things under wraps. I honestly do not know what's going to happen between the RDA and Na'vi and I like to keep it that way. I enjoy the suspense of waiting till the movie comes out and surprises me with a new story.